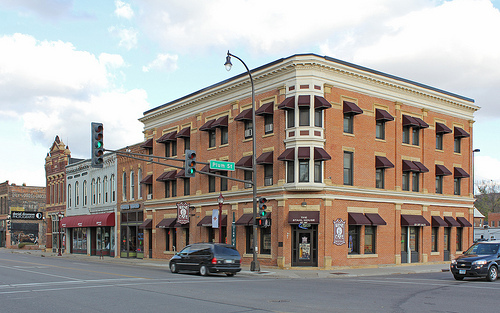 In Mankato that same year, Harrison L. Schmitt opened a legal practice that would eventually become Farrish Johnson Law Office. In 1893, at the age of 33, Katharine Lee Bates, on a trip to Colorado Springs, penned the words to what is now known as the song “America the Beautiful.” Bates originally wrote the words as a poem, “Pike’s Peak,” first published in the Fourth of July edition of the church periodical, The Congregationalist. The sites on her trip inspired her and they found their way into her poem. Upon returning to her hotel room, Bates wrote the words down. Two years later the poem was published to commemorate the Fourth of July and it quickly caught the public’s fancy. Harrison L. Schmitt was the founder of what is now known as Farrish Johnson Law Office. As described in Minnesota history, in the field of general law, one of the most eminent figures in the southern Minnesota Bar was Harrison L. Schmitt. Schmitt, who during 22 years of practice in Mankato, was known for his abilities in the practice of law as evidenced by his incumbency of the office of the President of both the Blue Earth County Bar Association and the State of Minnesota Bar Association in the early 1900s. 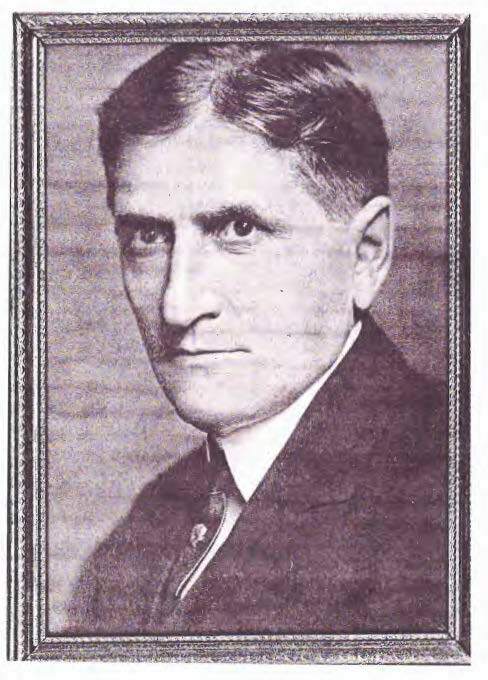 Mr. Schmitt served as the President of the Minnesota Bar Association in 1914. Schmitt was born in Waverly, Iowa, on October 15, 1866, to a German Evangelical church pastor. He was one of seven children. After graduating from Mankato High School, Schmitt went on to become a school teacher, teaching school in Mankato for four years before attending law school at Northwestern University in Chicago. In 1893, after being admitted to the bar, Mr. Schmitt commenced practice in Mankato. 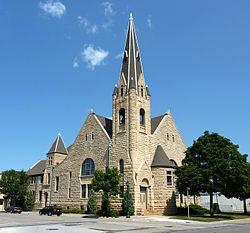 That same year, construction began on the First Presbyterian Church at Hickory and South Broad Streets in Mankato. 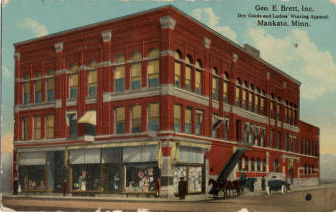 Brett’s Department store moved to its location at 329 South Front Street, eventually purchasing the entire three-story building. Construction of Mankato’s second hotel, the Stahl House, which had 42 rooms, was completed in 1893. After graduating from law school, as kind of a family tradition, Schmitt assisted his brothers in obtaining their medical and law degrees. His brother, J.W. Schmitt, became a Mankato attorney. His brothers, Aaron F. Schmitt and Samuel C. Schmitt, entered the medical profession. Aaron was a practicing physician and surgeon in Mankato. Samuel was a medical practitioner in Mankato and moved on to Minneapolis. Schmitt practiced with S.B. Wilson for two years before entering into a partnership with his brother, John W. Schmitt. Their offices were located in the I.O.O.F. Building. In 1915, Schmitt moved to Minneapolis and joined a Minneapolis law firm. During his career, Schmitt argued many cases to the Court, including the US District Court. He handled seven cases in front of the United States Court of Appeals. Schmitt Brothers letterhead from September 1, 1920. Harrison L. Schmitt’s grandson, Harrison “Jack” Higgins Schmitt, was an Apollo astronaut. Jack was the 12th and last man to walk on the moon as an astronaut on the Apollo 17 mission. As a geologist, his task was to correct rock samples. Following his career as an astronaut, he became a US Senator for New Mexico in the early 1980s. 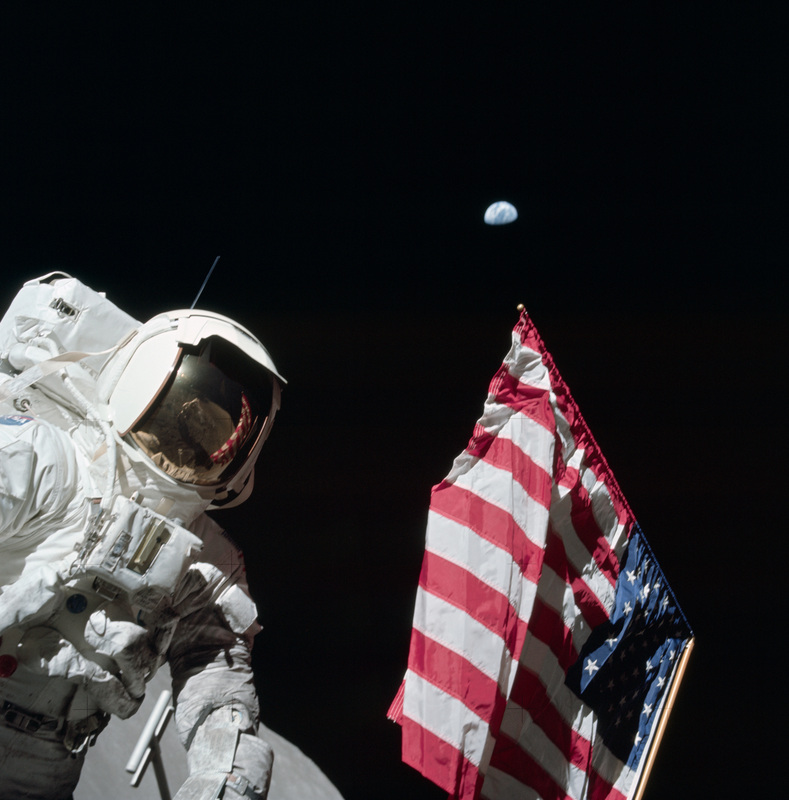 with Earth in the background, during Apollo 17’s first EVA.